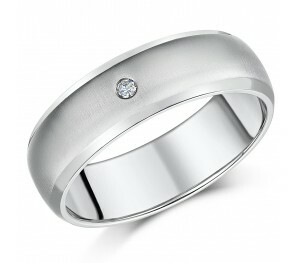 A brushed matt and high polished 7mm engagement wedding band set with a single round sparkling diamond. 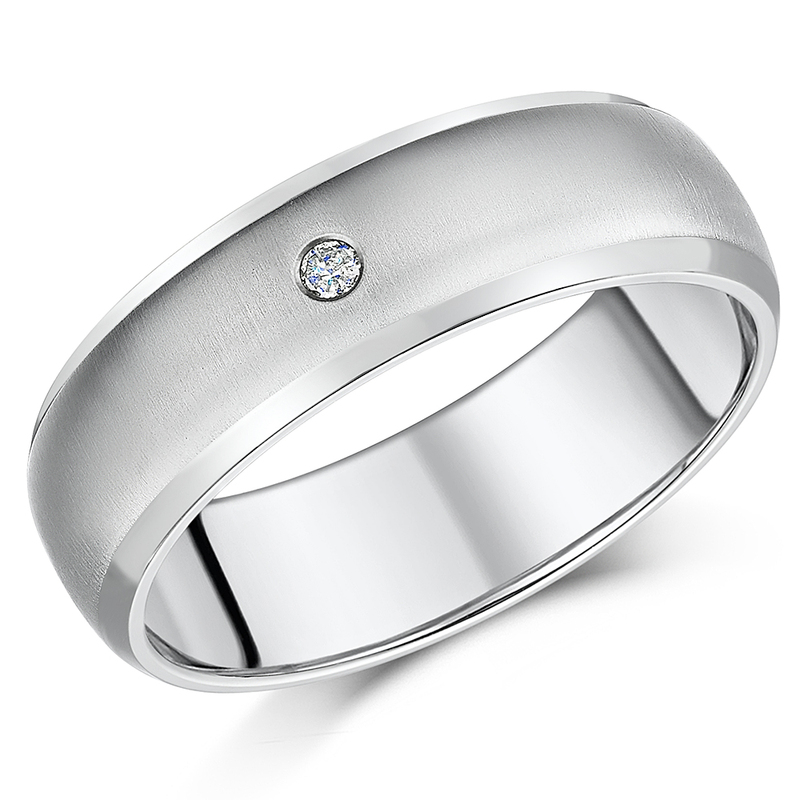 One perfect shining diamond adds the finishing touch to an already classy wedding ring band. 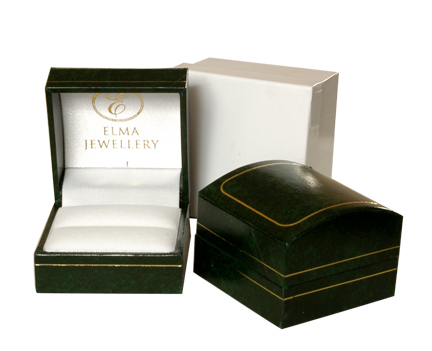 Featuring a brushed matt satin look finish, with contrasting high polished bevelled edges, this ring offers a stylish combination of textures for the simply exquisite look it provides.A beauty of a ring, it's no surprise that this is an extremely popular choice among our customers. Set with a sparkling diamond.